This lightweight design (under 94,000 lbs) is mounted on a 5 axle chassis. Now, you can get the reach of the 50-meter class you couldn’t get before because of weight restrictions. The 33 Meter ZZ Boom is a specialist in working inside existing structures, due to its low unfolding height. Concrete pumping and pouring is an integral process in virtually every type of modern construction project. Choosing the right concrete contractor has a significant impact on your ability to stay on schedule and within budget while producing top-quality results. 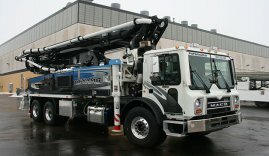 If you’re searching for a provider with the broad capabilities to handle your unique set of applications and environmental challenges, Dynamic Concrete Pumping, Inc. offers everything you require. 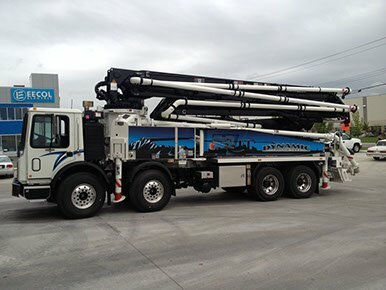 As an industry leader with over 40 years of experience, we carry an extensive inventory of concrete boom pumps and line pumps that represent the latest technology. At Dynamic Concrete, we understand the importance of choosing concrete pumps with the capacity and attributes suited to your requirements to maximize efficiency. 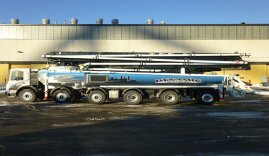 Our fleet includes pumps ranging from 33-meter to 57-meter booms in a variety of configurations. 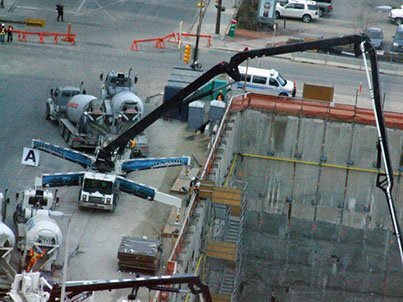 Whether you need concrete boom pumps with a low enough profile for working inside existing structures or a unit with the ability to reach the top floors of a high-rise project, our experienced team will help you find the most efficient and effective solution. 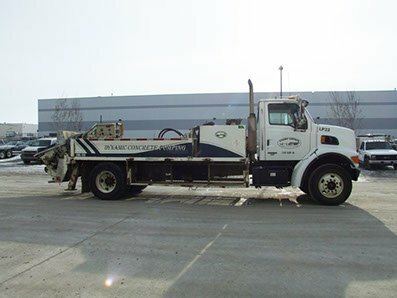 We also carry truck-mounted line pumps offering the volume and pressure to handle large warehouses and slabs as well as medium to high-rise construction. 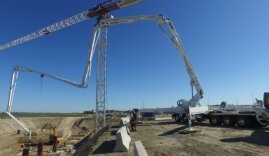 No matter what project you plan to work on, making the right choice on concrete boom pumps is one of the most critical steps. It’s crucial that you have assistance from knowledgeable professionals who can help you determine the right model for your application. 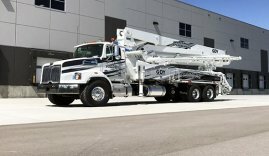 Our team at Dynamic Concrete Pumping knows the ins and outs of equipment that leads the market, and your bottom line, productivity and complete satisfaction are critical to us. We’ll provide only the most reliable equipment that has been thoroughly serviced and maintained, so you can expect high performance that allows you to get your work done right the first time you do it. 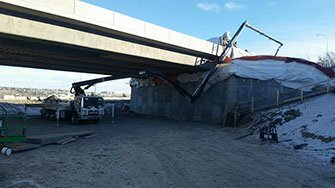 Dynamic Concrete Pumping is the service provider of choice for commercial contractors in Alberta and throughout Western Canada. We are continually updating our fleet and are committed to remaining on the cutting edge of technology. Whether you need a partner on a construction project or are looking for a reliable source for concrete pumps, we’re the one-stop shop for everything you require. Contact us for more information and to speak with a representative today.